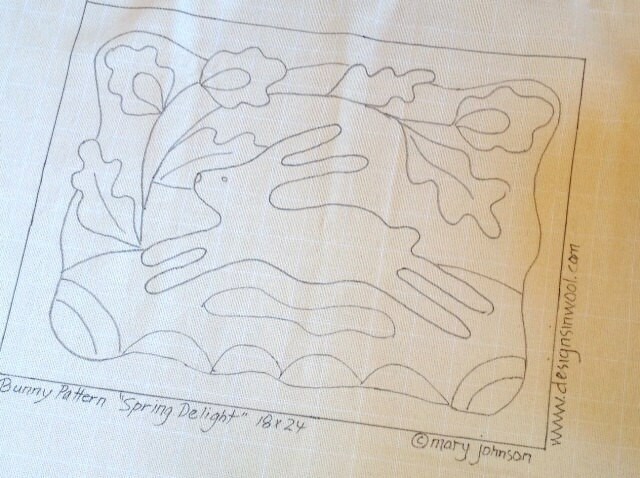 This listing is for the rug hooking pattern "Spring Delight". A 4" x 6" color photo is included. The design is 18" x 24" and I have hand drawn it taking great care to keep the border line on the straight of grain. It has 4" inch borders to make it fit on most lap frames or in a hoop. The outside raw edges of the backing fabric have been serged to prevent raveling while hooking. 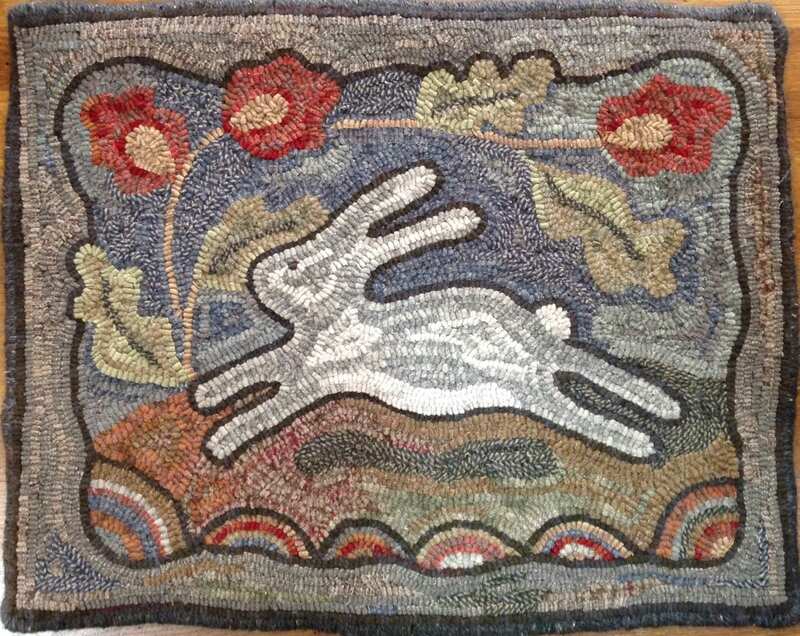 This listing is the PATTERN ONLY, not the finished rug. 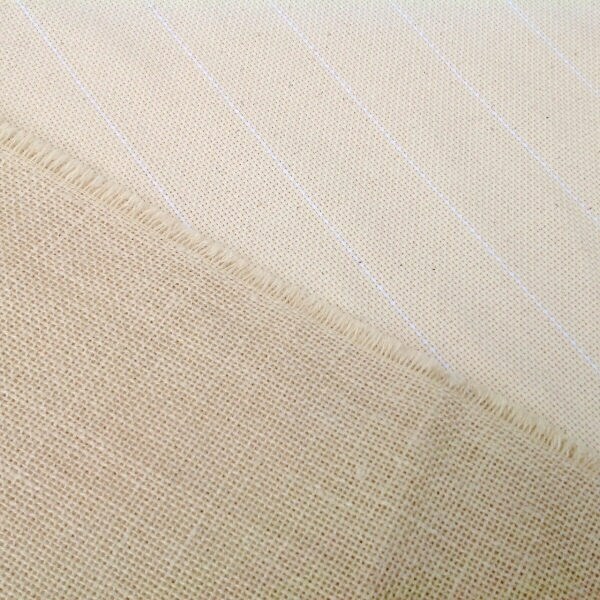 Your choice of backing fabric: cotton monks cloth for all size cuts; or primitive linen for wide cuts (#7 and wider). For more info on backing fabric, see my FAQs. I loved hooking this pattern. It was a true delight! This little bunny is SO very happy that it is Spring! He is out for an early morning hike, flying through newly planted gardens and wild flower pastures. This pattern would be a great rug for a beginning rug hooking project and a simple fast project for the veteran hookers. lovely little rug, hope to get it on the frame soon.